Not a third-party taplist service or anybody else trying to grab your traffic. There are numerous reasons the biggest breweries don't use services like these... uninformed reviews, stale design options, bad SEO practices, lost traffic & customer attention are just a few. 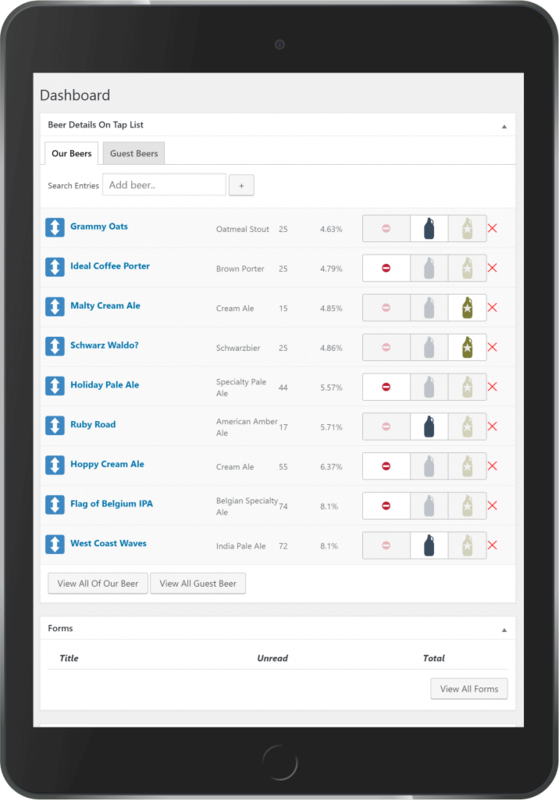 Keep Your Visitors, Take Back Control of Your Taplist. Add, Remove, Re-Order all at your fingertips. 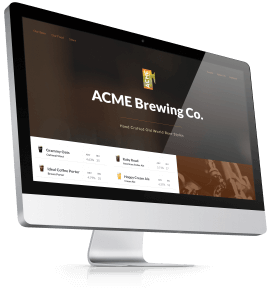 Control both your website and your Digital BrewBoard with the same edit. that controls the page online that tells people what you have on-tap. Designed for 1080p and larger displays, but customizations are no big deal.